We all have a favorite local restaurant. You might visit this place almost weekly or you may save this place for special occasions. Typically, the restaurant is owned and managed by someone who greets you at the door. They’ll visit your table during the meal, ask about your family and genuinely welcome you like an old friend. Also the favorite restaurant always uses the best ingredients and utensils to make the best quality food. During high school I worked as a greeter in a restaurant and ushered customers to their table. (I was never much of a cook.) I had the opportunity to observe first-hand how the owner and customer interacted. I came to learn early on that owning a restaurant is a tough way to make a living. There are so many things that can go wrong. Funny thing is, the restaurant and boatyard industries share some similarities. Our little “Bistro by the Bay” certainly has many of the same challenges that restaurants face – we are in the service industry after all. In restaurants, if you’re going to the opera after dinner and don’t want to miss the overture, you need to place your order for the soufflé sometimes as early as when you make your reservation. It’s also helpful if you let your waiter know of your time constraints as soon as you arrive. This way, the kitchen and your waiter are prepared. You get your soufflé and eat it too! Plus, you get to the opera in time to nap through the overture. With us, once you’ve “made your reservation”, it’s also helpful to let us know about any “soufflé” orders. We regularly find that boat owners don’t tell us about their desire for soufflé until after the boat has been “seated” and we’re halfway through serving them. And then, of course, they miss the overture and the opera’s first act. The table behind them misses their movie and the restaurant gets bad reviews on Yelp. Not good for business. The take-away is communication is key. The more we know about your needs and wants, the better we can serve you. Like most great restaurants, it’s often hard to get seated without a reservation. We’re now, thankfully, seeing the same thing in our boatyards, so we have a bit of a backlog. Word to the wise: the sooner you make your reservation, the better it is for all. Similarly, to a restaurant, we absolutely have limited labor resources available. Like most American companies, we are finding it very difficult to locate the skilled craftspeople we need. You may have noticed we’re advertising to hire more team members (even offering a free bottom job for every hire you send us). While we pride ourselves on serving one heck of a soufflé, not everyone in our kitchen knows how to prepare one…did I mention I can’t cook? Lastly, there are those wonderful restaurant customers that are incredibly loyal. They know what they want when they come in, and we love that we’re able to provide it for them. With a familial greeting at the door, we lead them to their table. It’s been our goal from day one to honor these clients with the service and “menu” they expect. 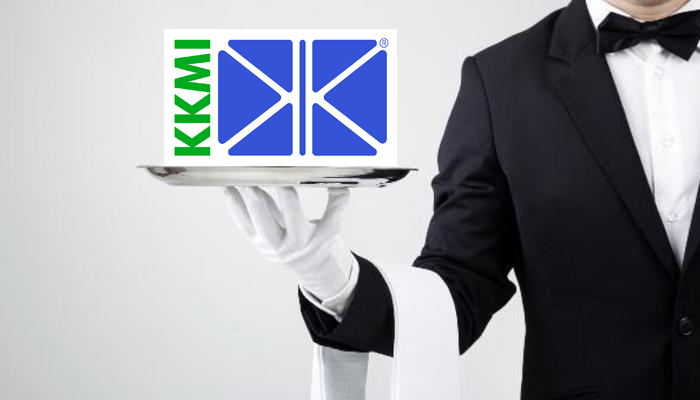 At KKMI, we’re all about making sure our customers are well served and they love their “meal” here. Having owned many boats, I’ve been a customer in many boatyards. Over the years I’ve had my fair share of less than enjoyable service experiences and bad meals. While I may not know how to cook, thankfully our team does. Rest assured, your favorite local restaurant is alive and well.